We didn’t go anywhere for Spring Break. In fact, it feels like I’ve been in Kentucky for the past five years. Something about having a baby is not conducive to vacationing. Go figure. I love Kentucky. Don’t get me wrong but any place can start to feel like a cage after too long. In a desperate attempt at a getaway, we left Thursday afternoon for Kentucky Lake for a long Easter weekend away with family. I’ve written about my love of the Lake before but this trip was a little different. I don’t think I’ve ever spent substantial time on the Lake this early in the year. And while it’s been warm, it hasn’t been warm enough to enjoy the traditional water-based activities. So, on Friday, my grandmother and I took Griffin the Golden Pond Planetarium at Land Between the Lakes. My little boy has been particularly fascinated with the sun, moon, and stars of late so I started searching for an outlet a couple of weeks back. I’m embarrassed to admit I didn’t even know Land Between the Lakes had a planetarium. I was surprised to see the extensive schedule and we ended up seeing a show in the afternoon about the IBEX. It was a little advanced for a two-year-old but he still loved it and we got the schedule for summer night observations in the observatory. We had a wonderful afternoon and the planetarium wasn’t the only surprise. As we drove the length of LBL (thanks Foss Maritime! ), I couldn’t believe how much it had to offer. From elk and bison to hiking trails galore, I saw an entire summer of adventure stretching in front of us. I know it wasn’t an escape to a tropical isle. But just when I thought I couldn’t drive the same street one more time, it was nice to reminded there were roads left untraveled so close to home. In "golden pond planetarium", "kentucky lake", "land between the lakes"
Kern's Kitchen Derby Pie...and the fact that they serve it in the cafeteria at Transy. Blue Moon of Kentucky...as sung by just about anyone. In "abraham lincoln", "barbara kingsolver", "bell hooks", "bluegrass music", "derby pie", "derby", "favorite things", "kentucky lake", "leighs", "loretta lynn", "paducah", "patti's", "the judds", "transylvania", "wendell berry"
Not Kentucky Lake. Not Barkley Lake. Not even Land Between the Lakes. Every summer my family goes to just "The Lake." 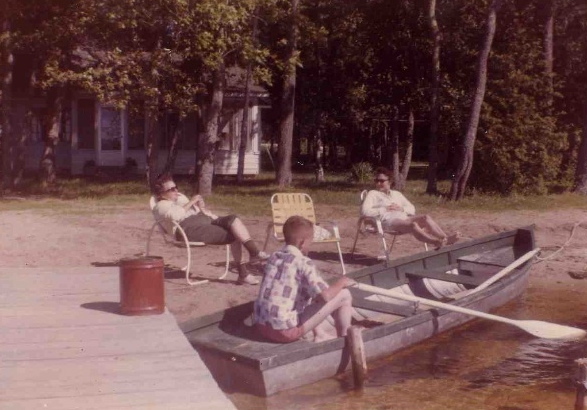 Going to The Lake for my mother meant spending her childhood at my great-grandparents' lake house. She and my father married on their sloping lawn in a simple ceremony during the heat of summer. My childhood memories weren't experienced from the shore but on the water itself. Every Fourth of July was celebrated on my great-uncle's house boat The Paper Doll. The waves would rock us back and forth until I could feel them laying in bed that same evening back on solid ground. The house boat is long gone. Now, my family's headquarters is back on the shore. My grandmother and great-aunt and uncle have built another lake house. Again, just "the lake house" where we spend every major holiday until the house is shuttered up for the winter. We have a pontoon boat and spend the summer jumping off the rock quarry or docked on one of the small sandy beaches. We spend the evenings on the deck eating (and eating and eating), talking, or playing games. My own children will now have memories of The Lake. (After being told we were going to Meema's lake house, he now just calls it "Meema's Lake.") I took a group of friends to the lake house for one weekend this summer. 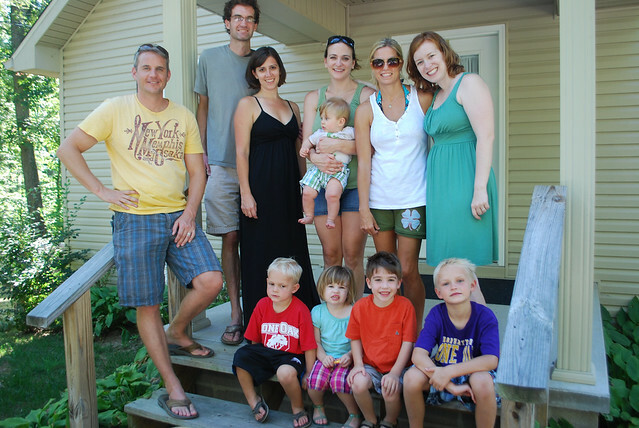 Between us, we had six kids ranging in ages from 4 months to 6 years. They spent all day swimming, riding on the boat, hunting frogs. One described it as the best day of his life. Another asked his mother if God would let him live there in heaven. The Lake has that effect on people. In "kentucky lake", "kentucky places", "my kentucky"